Need a Work Health and Safety Manual for your business but don’t want to wade through codes of practices and find all the specific requirements? 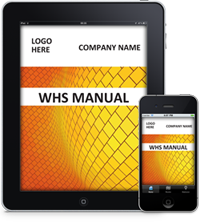 This WHS Manual contains basic policy, procedures and emergency plans based on the Australian Standard 4801 that can be applied to any small to medium size business. The WHS Manual focuses on setting up the foundations for a successfully-run WHS system so that legislative compliance is assured... everything you need to comply! Whether you realise it or not, the temperature of the office where you work is an important factor that effects numerous other areas in the office. Safety Concepts' resident ‘safety guru’, Joanne Wallace has written a simple e-guide to help you safely navigate the minefield that is the average office thermostat. 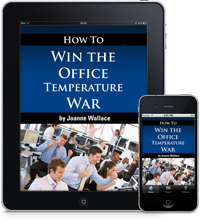 Understand why people feel hot and cold differently, how the temperature can affect health and productivity and best of all, how to win the office temperature war! Study online to achieve your WHS qualifications… Any time, any where! Get your WHS qualifications and improve your career. Demand for people with WHS qualifications is increasing rapidly as the new Harmonisation laws change the way companies think about compliance and litigation. WHS training gives you the skills and knowledge to start overseeing WHS initiatives in your workplace. And because they are nationally-recognised, you can work anywhere in Australia! We offer Certificate IV in Work Health and Safety and WHS Consultation in the Workplace. 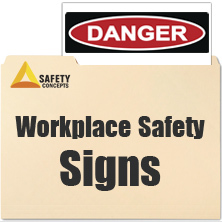 Have the Workplace Safety Signs you need on display within minutes of reading this page! What better way to highlight workplace hazards and help staff to follow the safest protocol than through the use of safety signs? Safety Concepts has put together a collection of more than 125 of the most commonly used safety signs that you can use to identify and control workplace risks and hazards, and communicate workplace safety requirements. These ready-to-print, full-sized PDF Safety Sign Templates are available for immediate download to your computer. 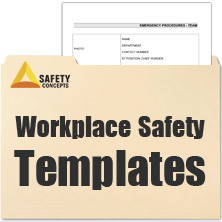 Want easy-to-use, detailed and accurate templates, manuals and guidelines for managing your workplace safety? Did you know two of the most common causes of workplace injury are insufficient risk assessment, and not having a systematic approach to safety management? In reviewing the feedback from you and others who are responsible for workplace safety, the data shows a desire for easy-to-use, detailed and accurate templates to make managing your workplace safety easier. Well here they are! Safety Concepts have fully qualified and industry experienced Safety Consultants on hand to provide a consulting service for Brisbane-based businesses. With the harmonisation laws introduced in January 2012, now is the time to review and/or implement your safety system. For more information on consulting or our safety products please email joanne@safetyconcepts.com.au.